The Bay Area ReelAbilities Disabilities Film Festival closes Sunday. The Arab Film Festival continues through the end of this week. The Petaluma International Film Festival opens its three-day run today. 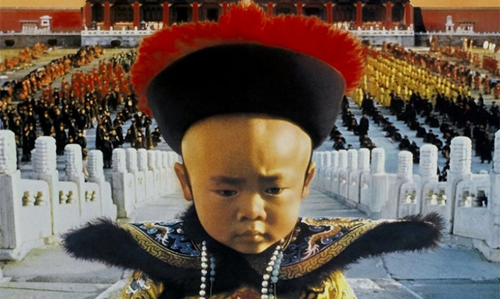 And Bertolucci – A Film Series, takes up one glorious day on Saturday. A The Conformist, Castro, Saturday, 12:30. It takes more than good men doing nothing to create fascism. According to Bernardo Bertolucci’s haunting character study, it also takes mediocre men with career ambitions. Jean-Louis Trintignant is chilling as a bland cog in the machine, ready to use his honeymoon in homicidal service to Mussolini. With Stefania Sandrelli as his not-too-bright bride and Dominique Sanda, in a star-making performance, as the object of everyone’s desire. Part of Bertolucci – A Film Series. A The Dark Knight, Castro, Friday. As far back as Memento, the Nolan brothers have seen evil as an influence very likely to corrupt those dedicated to fighting it. In what is by far the best Batman movie ever made, no one–including Bruce Wayne/Batman himself (Christian Bale)–gets away without moral compromises. 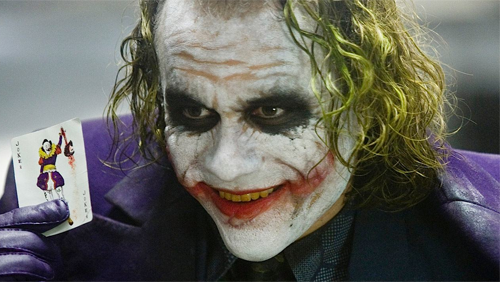 But what can you expect when fighting the Joker, who is absolutely nuts in Heath Ledger’s final performance. For more details, see my full review. On a MiDNiTES for MANiACS double bill with Reign of Fire. A Lauren Bacall double bill: Key Largo & To Have and Have Not, Stanford, Friday through Sunday. The A goes to Key Largo. Set in a lonely Florida hotel during a hurricane, war veteran Humphrey Bogart faces off against gangster Edward G. Robinson. Most of the movie is talk, but when Richard Brooks and John Huston adopt a Maxwell Anderson stage play, and Huston directs a solid and charismatic cast, who needs more than talk? But I can’t honestly give To Have and Have Not anything higher than a B. 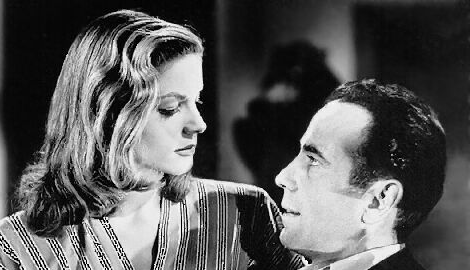 Yes, the Bogart-Bacall romance ignites the screen. But aside from the sexual sparks, it’s just a moderately entertaining tale of war-time intrigue. C How to Marry a Millionaire, Castro, Sunday. This lavish 1953 romantic comedy succeeds only moderately at being either romantic or funny, despite the talents of Lauren Bacall, Betty Grable, and Marilyn Monroe (who had only just achieved star status). As the title suggests, it’s about women not so much looking for love as fishing for a sugar daddy–hardly romantic. But How to Marry a Millionaire was one of the first two films shot in Cinemascope, and the first with an intimate, contemporary, character-and-dialog driven story. That alone gives it historical interest. On a Lauren Bacall double bill with Written on the Wind, which I haven’t seen. B Frankenstein (1931 version), Alameda, Tuesday and Wednesday. 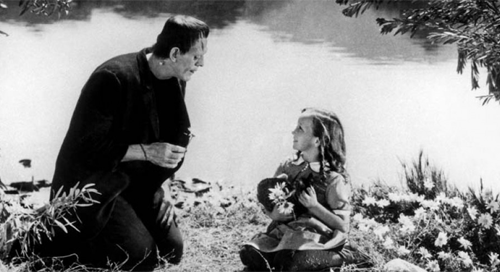 Frankenstein did more than create a monster. He turned James Whale into a top director and Boris Karloff into a major star (no mean feat since Karloff neither spoke in the film nor received screen credit). Several individual scenes are masterpieces of mood, horror, and crossed sympathies, but there’s so little story that the movie feels like a warm-up for the infinitely superior sequel, Bride of Frankenstein. Still, it was one of the most influential horror movies ever made, and Jack Pierce’s makeup for the monster is still iconic more than 80 years after the film’s release. 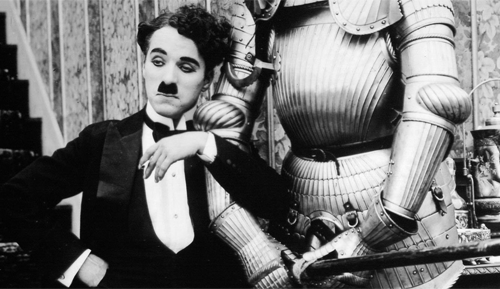 B+ Comedy Short Subject Night, Niles Essanay Silent Film Museum, Saturday, 7:30. This month’s collection of silent shorts has an unsurprising Halloween theme. One AM (which actually has no Halloween connection) has Chaplin playing his rich drunk character, too soused to find his bed. Like all of his Mutuals, it’s very funny. The Haunted House is one of Buster Keaton’s best shorts. 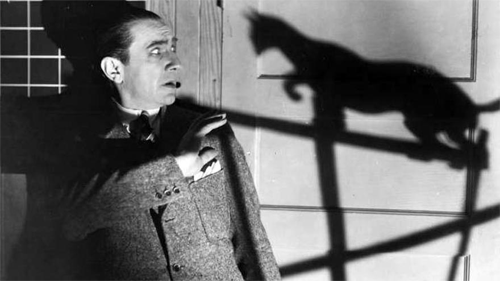 Harold Lloyd’s Haunted Spooks is very funny, but be warned: It suffers from racist humor. I haven’t seen Laurel and Hardy’s Habeas Corpus. Greg Pane will accompany everything on piano. C+ The Black Cat, Castro, Thursday. 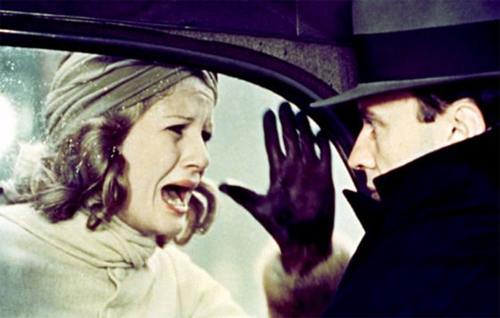 Not all Universal horror films were carefully crafted by artists like James Whale. Low-budget auteur Edgar G. Ulmer threw this quickie together for very little money, and it looks it. But this silly story of revenge, lost honeymooners, a very modern spooky castle, and fear of cats offers a good share of laughs, some of them intentional. But why did Universal pick a cheapie like this for the first pairing of its two biggest horror stars–Boris Karloff and Bela Lugosi? On a double bill with the 1935 version of The Raven, which I haven’t seen. A Boyhood, New Parkway, opens Friday. Fifty years from now, people will still watch Richard Linklater’s intimate epic. Shot off and on over a period of 12 years, Boyhood allows us to watch young Mason and his family grow up and older. It isn’t an easy childhood. His parents are divorced, neither of them has much money, Dad is immature and Mom has bad taste in men. But Boyhood avoids the sort of horrible situations that drive most narrative films, and it’s all the better for it. By using the same actors over such a long period of time, Linklater creates a far more realistic picture than could be done with aging makeup or switching from a child actor to an adult one. Read my full review.